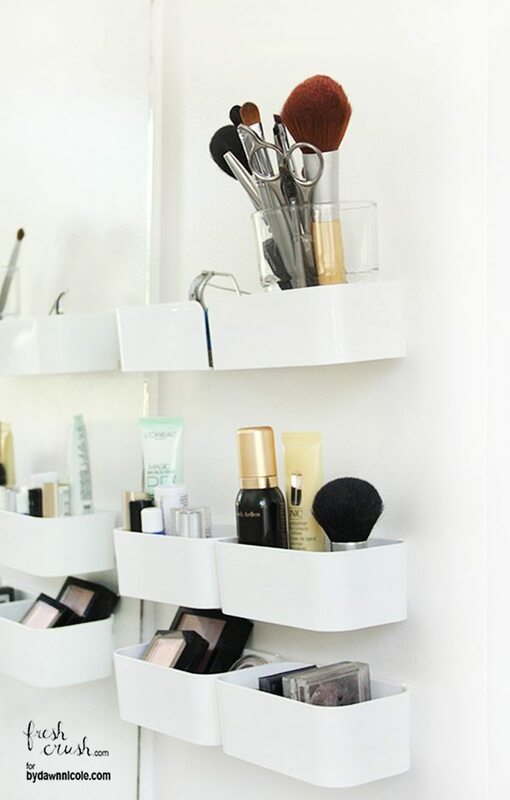 Your makeup collection needs some organization and storage. 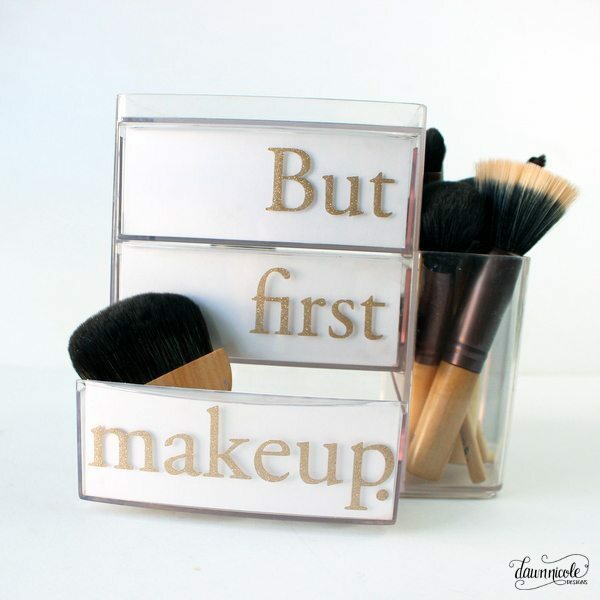 Why not DIY your own makeup organizer to save some money (for some more makeup!)? 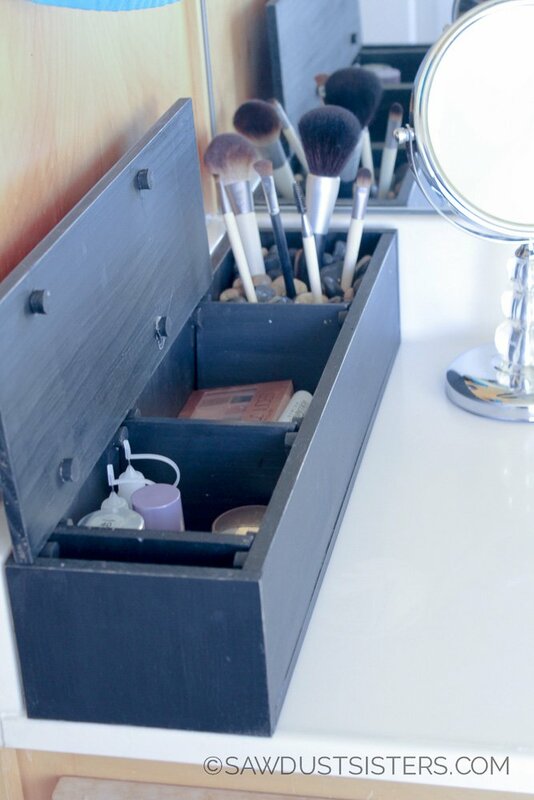 Whether you have a small space or a large vanity, organizing your makeup is a must. 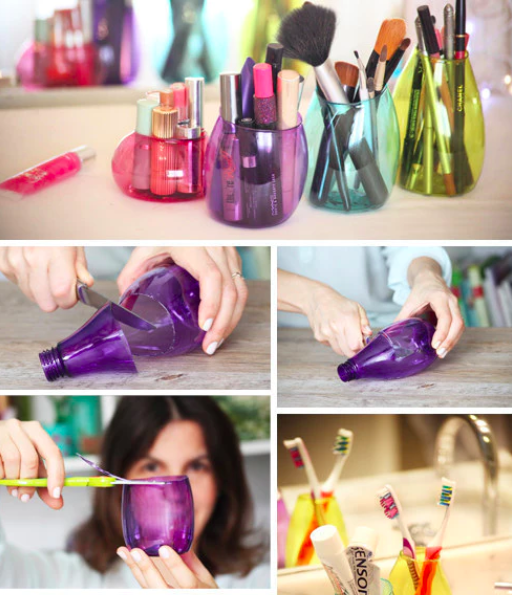 It will save you time as well as keep your beauty products lasting as long as possible. Get inspired by the things around you: your clothes, your style, Pinterest pictures. 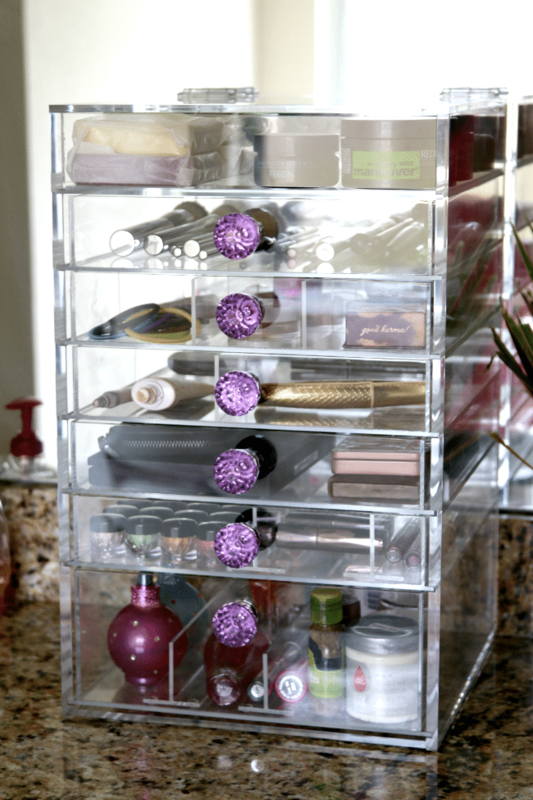 To help get you started, I’ve rounded up some brilliant ideas for storing and organizing your cosmetics. 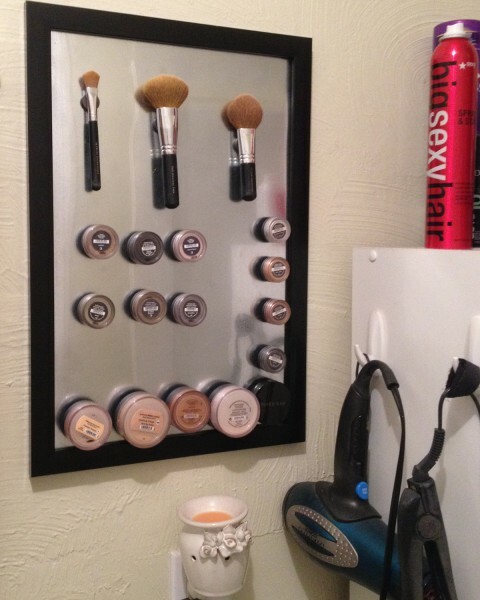 A makeup board doesn’t have to be fancy to be functional! 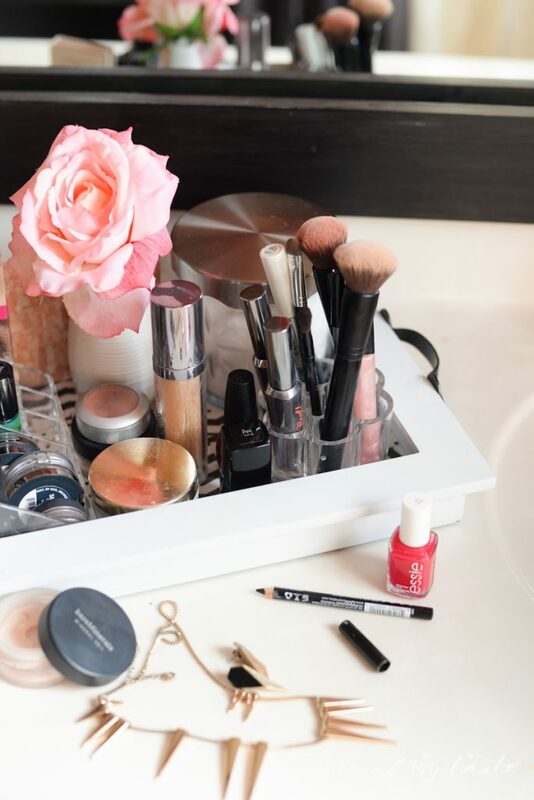 If you lack space, you can easily keep your makeup tidy right on your counter. 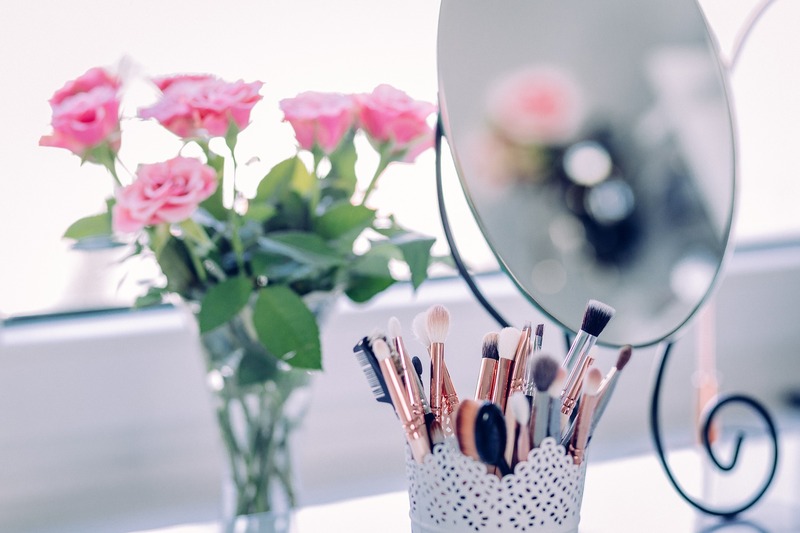 Make a space for different types of makeup, and they’ll always have a home! 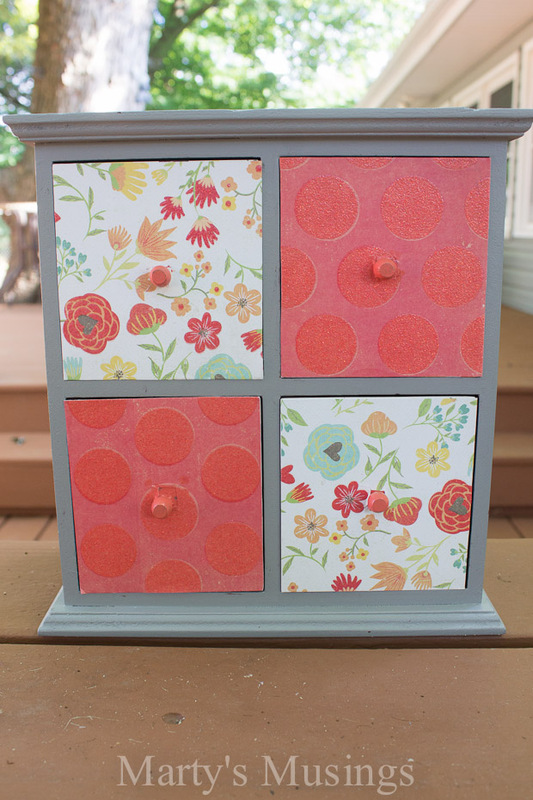 Create your own personalized DIY makeup organizer box with divider inserts. 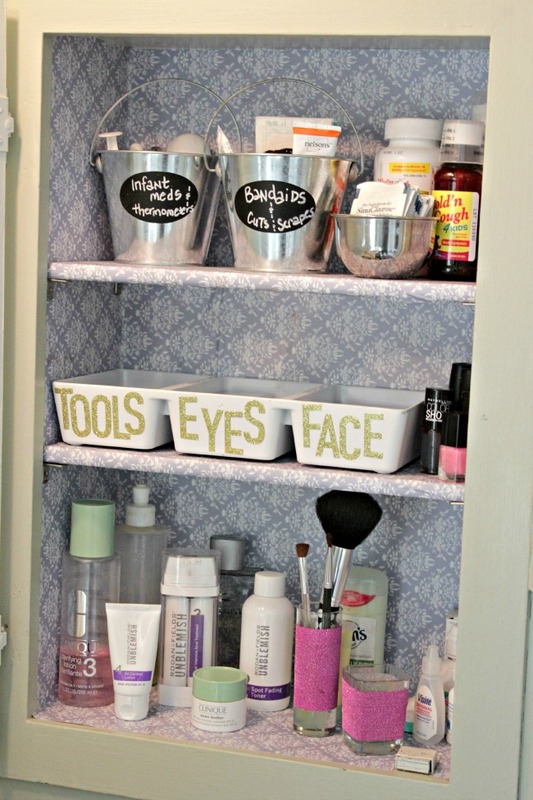 If you have limited counter space for makeup bags, these wall mounted IKEA storage bins are perfect! With a buckle closure, this rolling makeup bag is the perfect travel companion. 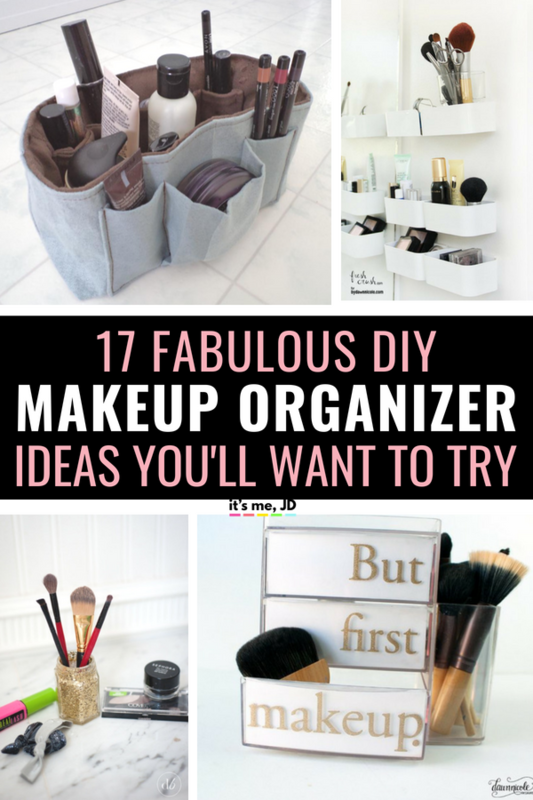 Find a really ugly box of drawers at the local donation store, and recover it with paper for the perfect makeup organizer. 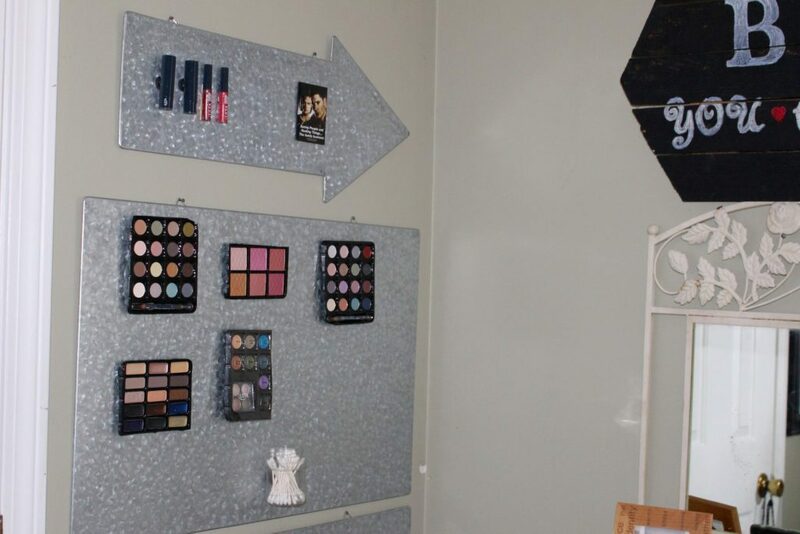 Organize your messy makeup bags into an organized makeup station. Every minute you can save yourself in the morning counts! 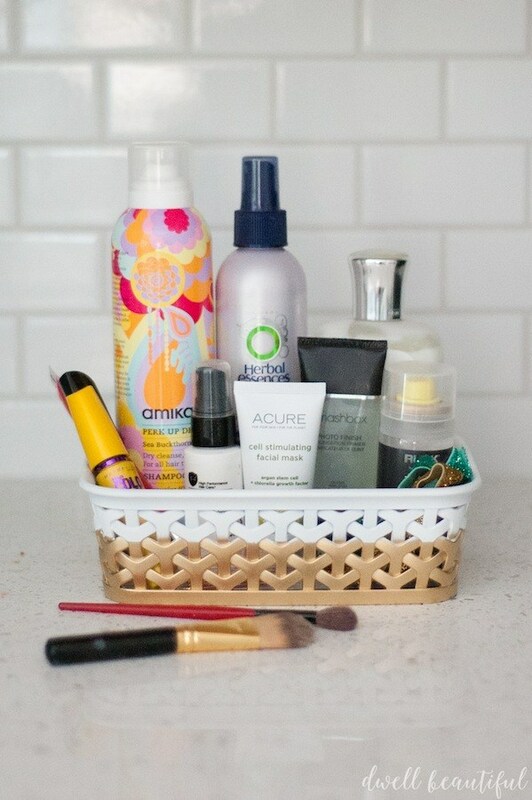 Make a pretty dip-dyed makeup organizer that is much prettier than a plain black basket! 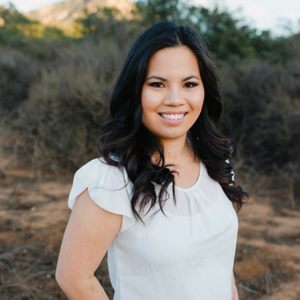 With its see-thru acrylic design, it makes finding what you need to get ready both easy and convenient – saving you time and frustration. 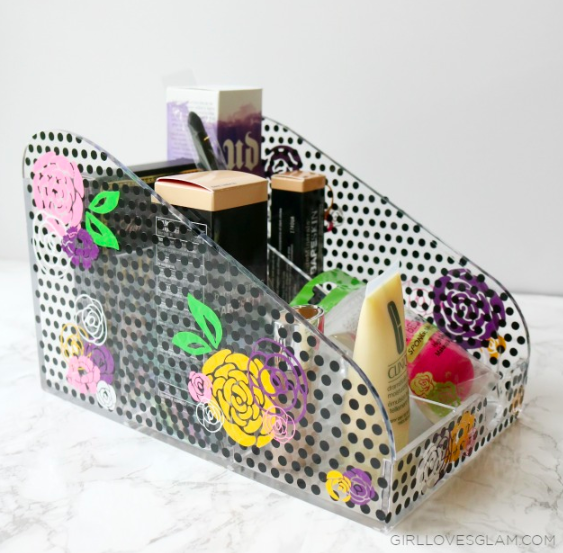 Cover a clear acrylic makeup case with vinyl to turn it into a floral and polka dot makeup holder. 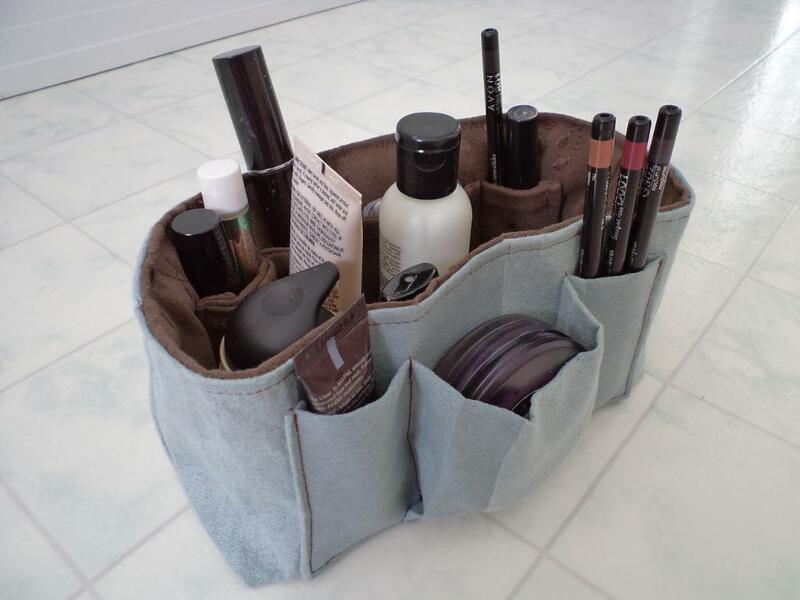 Makes a great organizer for yourself or as a gift! 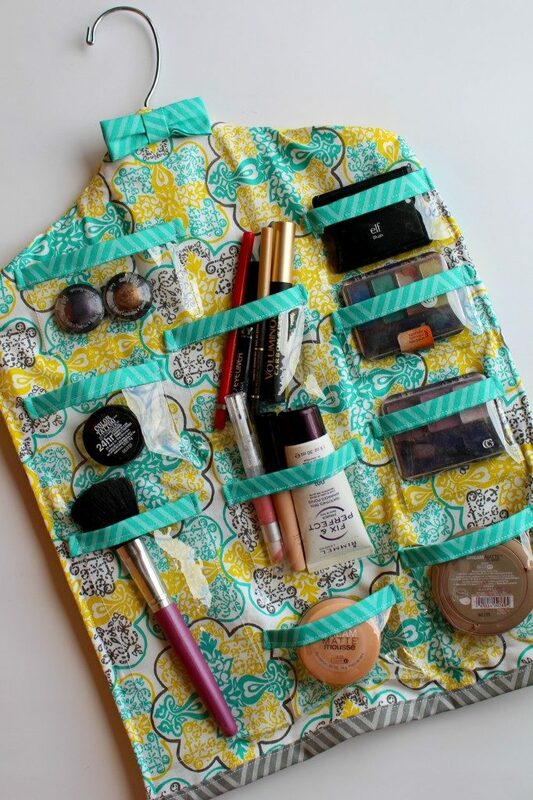 Use a plastic hanger and some coordinating fabrics for this darling hanging organizer! 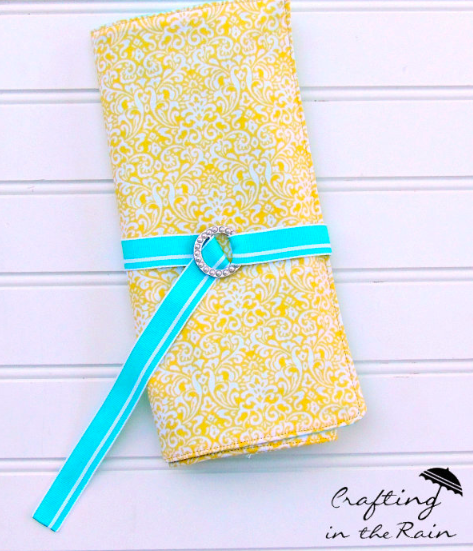 When your organizer needs a little “sass”, this cut file is perfect! 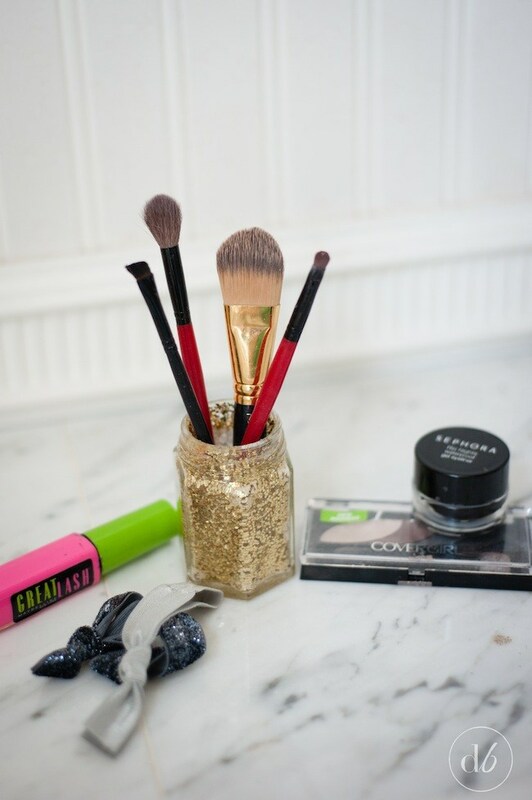 This tutorial adds some glam to your makeup organizers. This trend-setting bag has a unique design that’s perfect for small spaces. 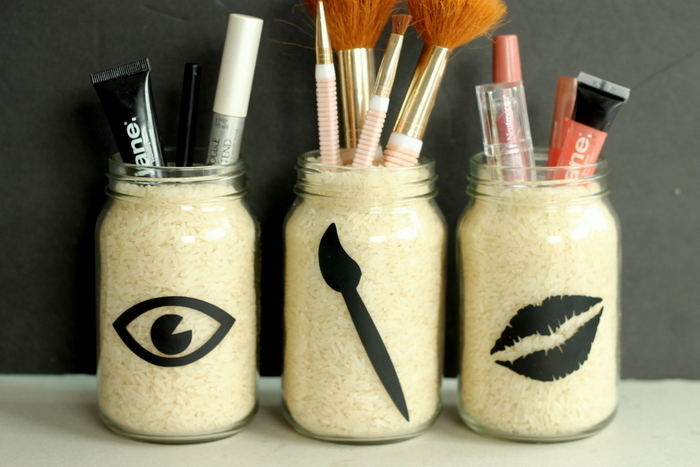 What DIY makeup organizer idea will you try?